The Faith in Action Program is a service that provides a volunteer based support service to our neighbors who are older citizens and people with disabilities. We help people stay active within the community and in their own homes. Our volunteers provide non-medical assistance to maintain independent lifestyles. You do not need to be a member of a faith-based congregation to get help from our volunteers. 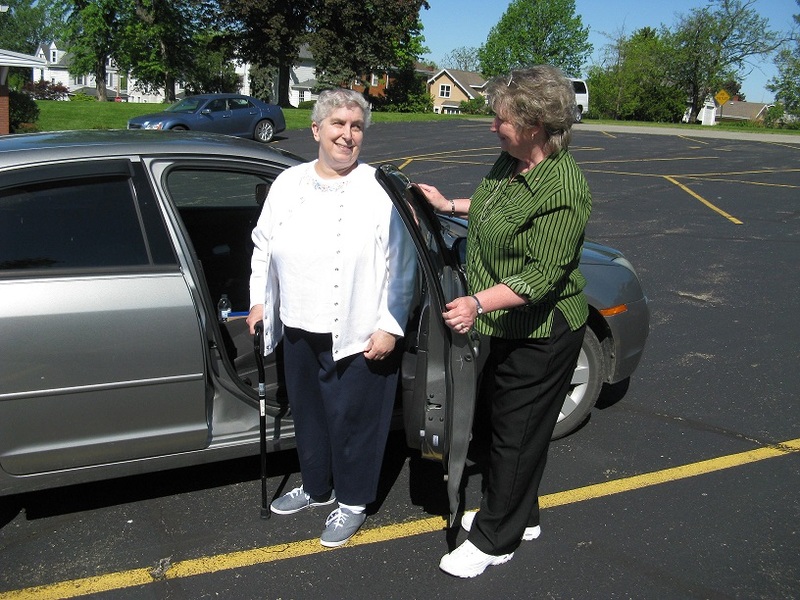 Patti P. (right) holds car door for Andrea, a Faith in Action care receiver. We link seniors and people with disabilities in Washington County with community activities, social services, and health care. Our aim is to make it possible for them to live independently in their own homes, enjoy effective, loving relationships with their families, and experience an improved quality of life. To volunteer your services click HERE or call: (724)223-5115, ext. 1203 or 1204. To receive services click HERE or call Faith in Action at: (724)223-5115, ext. 1203 or 1204. Faith in Action services are provided free of charge. Eligibility is not subject to affiliation with any certain community or religious organization. We are dependent on donations and gifts from coalition partners and the community for a significant portion of our funding. 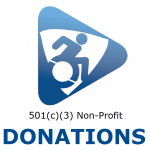 You can make a tax deductible donation payable to: TRPIL Community Services/Faith in Action. A Neighbor’s Independence Depends On You! Are you the pastor of a church, synagogue, or temple in Washington County? Would you like your congregation to join with Faith in Action to help the wider community? Contact our office to find out how your members and friends can join us. Volunteers are needed throughout Washington County. See the Coalition Partners in the Faith in Action Program. Washington County Faith in Action is a member of National Volunteer Caregiving Network (nvcnetwork.org ), a coalition of caregiving communities throughout the nation.